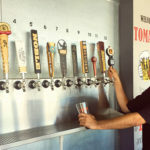 Urban Solace in North Park is like the wise adult sitting in a roomful of idealistic twenty-somethings sharing their entrepreneurial dreams over rounds of craft beer. Essentially, that smart grown-up is chef Matt Gordon, who opened Urban Solace in 2007 before most people sensed the neighborhood was verging toward a culinary renaissance. As for those fearless youngins, they belong to today’s flock of movers and shakers who may or may not possess such foresight. Gordon witnessed something similar to North Park’s reawakening while living in San Francisco’s Mission District during the mid-90s. 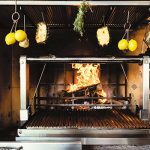 “There were a lot of empty storefronts there, but also some cool bars and chefs who were moving in to open their first restaurants. When I saw this space in North Park, which used to be North Park Deli and Coffee, it reminded me of the same vibe. You could see change was coming,” Matt Gordon said. 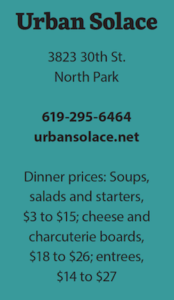 Urban Solace launched around the same time as The Ritual and Commonwealth Cafe, both of which delivered additional vitality to 30th Street. The Linkery entered into the equation as well when relocating closer to University Avenue. As it stands, Urban Solace outlived them all. Gordon also lent support to a young West Coast Tavern by writing its initial menu and co-running the kitchen for a couple of years. Yet it was Urban Solace that brought to the hood a dining experience that was less casual compared to everything else around it. 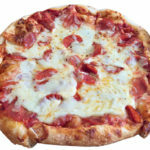 Gordon’s menu has withstood the test of time with American, homespun dishes that defied the fusion cuisine of the day. His ever-popular chicken and dumplings, for example, became a hit before comfort food was trendy. 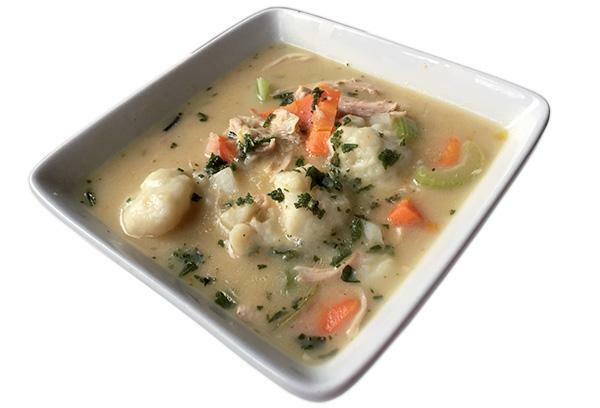 I found the dish tasted better than ever while spooning through generous measures of pulled chicken (mostly breast meat) interspersed with carrots, celery and potatoes in a thin, homey gravy that clings lovingly to the buttermilk dumplings. Imagine a cross between chicken soup and the innards of a pot pie. Gordon’s cheddar-chive biscuits are still a sensation after all these years. 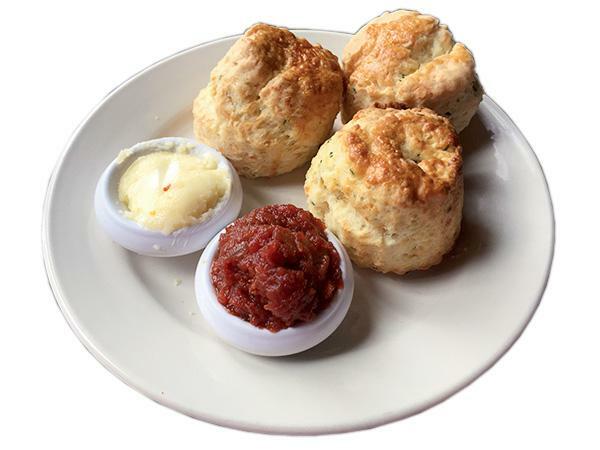 Sold for $1 apiece in quantities of three or six, they’re served with orange-honey butter and smokey tomato jam. Consider them a perfect come-on to his longstanding braised beef cheeks and “not your momma’s meatloaf” made with lamb and pork. 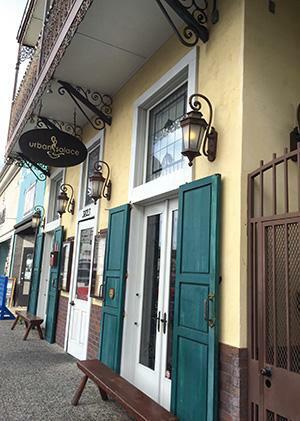 The restaurant’s New Orleans facade, designed by the landlord, is misleading if you’re expecting a strong showing of Cajun-Creole cuisine. 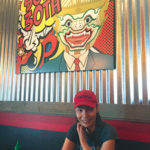 Gordon says the food resonates to the exterior only because many American dishes originated in the South. 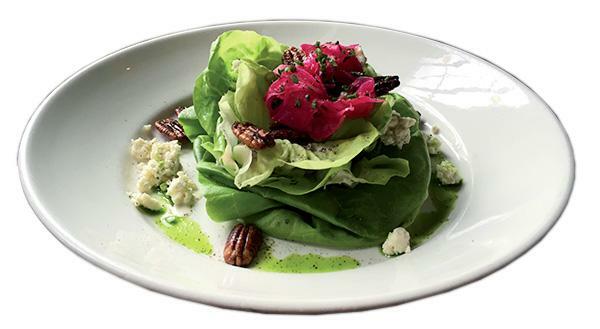 With my visiting sister in tow, we fell madly in love with the organic bibb lettuce salad graced by melt-in-your-mouth bleu cheese crumbles, spiced pecans, pickled fennel and silky buttermilk dressing. It was simple and exquisite. 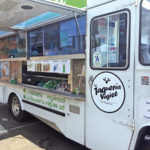 Neither of us are fans of grits, although they formed a delicious, creamy bedding to an appetizer of white Mexican shrimp. 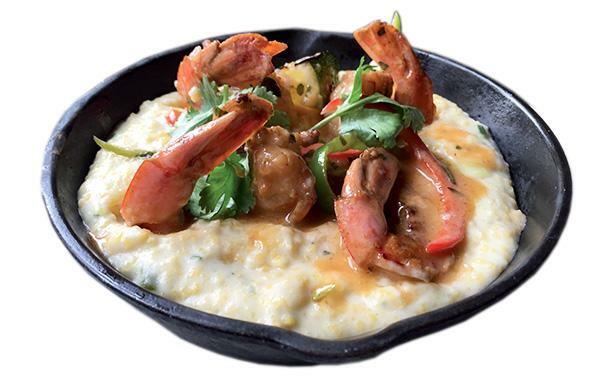 Lime, jalapenos and garlic butter prominently accented the shrimp and seeped favorably into the grits. I passed this time on the “duckaroni,” another Urban Solace staple that I recommend to those who haven’t tried it. The dish was invented on a fluke right after the restaurant’s first New Year’s Eve, when duck confit was offered on the menu that evening. 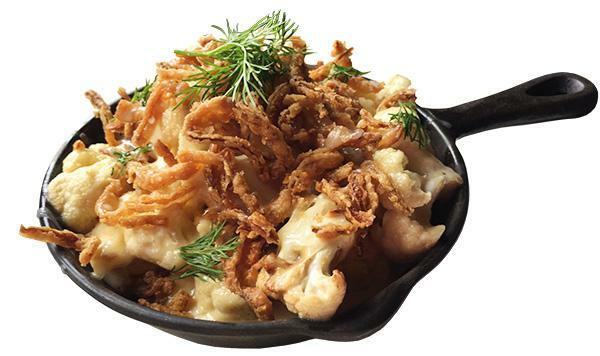 “We had some leftover duck, tossed it into mac and cheese and it became the next big thing,” Gordon said. While I slurped down my chicken and dumplings, Sis forked through a hunk of mustard-crusted sea bass served over trendy ancient grains (farro, freekeh and quinoa). The grains, we concurred, aren’t something we ever wake up craving. But they played an acceptably neutral role to the delicately cooked fish, which sported a nice, tangy exterior. 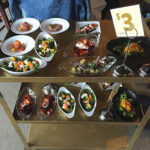 Other entree choices include wild sockeye salmon with fennel-onion sauce; Jidori chicken with cider-molasses glaze; cocoa-crusted pork belly, butternut squash and ricotta terrine; and crispy duck confit. We concluded with a puck of juicy passion fruit-mascarpone cheesecake, and salted caramel pot de crème resembling butterscotch pudding, which came with a decadent cap of chocolate ganache. The desserts served as a reminder that Urban Solace remains a reliable destination for such fine meals in North Park.